One ripe mango renders about one cup of mango. 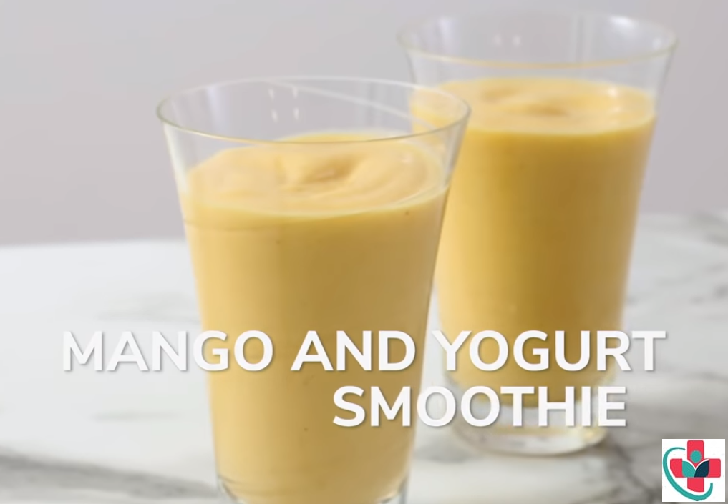 The recipe below calls for ¹/₂ cup mango. Feel free to use the full cup. I didn’t because the sugar content would have been higher than I like. Organic yogurt has been touted by health experts because it is a great source of vitamins and calcium. It is also rich in probiotics, which are good bacteria that live in our gut that aid in digestion and immune system health. While this is true, NOT all yogurt is made equal. However, I didn’t include a single add-on and it was quite tasty. Opt for plain, whole milk or full-fat yogurt. I used plain, homemade yogurt. Place all of the ingredients in your blender and blend for around 30-45 seconds or until nice and smooth.